Prime Minister Jens Stoltenberg claimed that angry opponents of his government’s move to boost income for Norwegian farmers, by dramatically raising import tariffs, would calm down once they read the portion of the state budget where the increases are outlined. Not so: Denmark’s trade minister, for example, is even more angry than before and still accuses Norway of violating international agreements. Stoltenberg seemed confident that opponents would drop their protests after reading details of how the new customs duty system would work. Instead, reported DN on Wednesday, the Danes are far from placated. “I’m disappointed that the Norwegian government will raise duty on certain cheeses by up to 277 percent,” Pia Olsen Dyhr, Denmark’s minister for trade and investment, told DN after she’d read the government’s budget proposal to Parliament that outlines the higher tariffs. “The customs duty on certain meat products will also rise strongly. She’s not the only one still angry and threatening retaliation against Norway if the higher import tariffs are ultimately approved, which they likely will be since Stoltenberg’s government parties have a majority in Parliament. The EU’s ambassador to Norway has delivered a protest from European authorities and demanded consultations with regard to Norway’s obligations through its trade agreements with the EU. Norwegian retailers, consumer advocates and, not least, importers of meat and cheese also remain furious. “Why should the government choose which cheeses we can eat?” questions restaurant owner Jan Vardøen, who faces huge price increases in the cheeses he now serves. 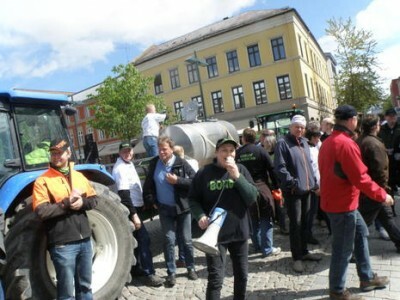 He told newspaper Aftenposten on Wednesday that he’s angry over what he suspects was “back-room dealing” between Stoltenberg’s Labour Party and its small coalition partner the Center Party, which has farmers as its most important constituency. DN reported the day before on how budget quarreling between the two parties, over the Center Party’s insistence on higher tolls to protect Norwegian farmers, was so heated that it lasted late into the night and Stoltenberg himself had to take part. The meat and cheese tariffs, according to DN, were the single most difficult issue in the entire budget process. Labour, which has become more “market liberal” in recent years and less authoritarian, nonetheless caved in to the Center Party’s demands after long hours of arguing over cheese and Stoltenberg himself was reportedly among those plucking out which 14 cheeses would be exempted from the higher tariffs, like parmesan, brie and manchego. DN commentator Kjetil B Alstadheim even headlined a column on the budget disagreement Statsbudcheddar, a pun on how the Norwegian word for the plural form of “the state budget” is pronounced. Foreign cheddar is among the cheeses that may now disappear from Norwegian markets since its price would triple under the government’s new rules. 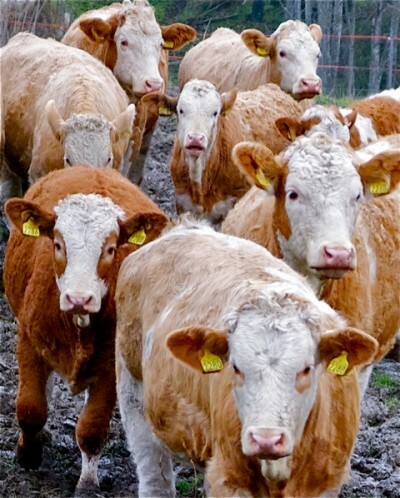 Prices for various cuts of imported beef may triple as well, setting off renewed protests from importers and retailers like REMA 1000, which has been selling lots of beef from Uruguay, not least because Norwegian farmers don’t produce enough beef in Norway to meet demand. Government officials claim they’ve set duty-free quotas for 500 tons of beef from developing countries like Uruguay, but retailers argue they’re already importing that much so prices still stand to rise if there’s to be any market growth. 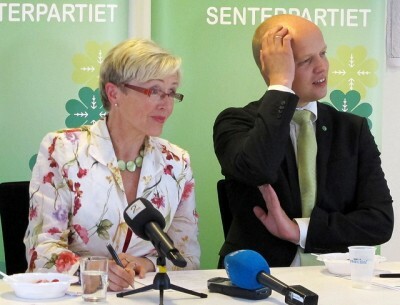 In the end, Center Party leader Liv Signe Navarsete and her agriculture minister Trygve Slagsvold Vedum won, as did their farming constituents, and all those fighting even higher prices and poorer selection in Norway lost along with Stoltenberg. He and his party colleagues, including not least new Foreign Minister Espen Barth Eide, now must put on brave faces and defend their own government’s decision.